The Whistling Nose: How Can It Be Corrected? Though most people like the professional nose whistler shown here require an instrument to enable the nose to whistle, in others it occurs naturally due to unique anatomic features within the nose. Why might someone’s nose whistle? The most common reason it may occur constantly is due to a hole in the septum (septal perforation). The septum is a wall that divides the right nasal cavity from the left side. Normally, it should be straight and without any openings. However, when a hole is present in the septum and it is in just the right size and place, whenever air is breathed in and out of the nose, it will whistle. 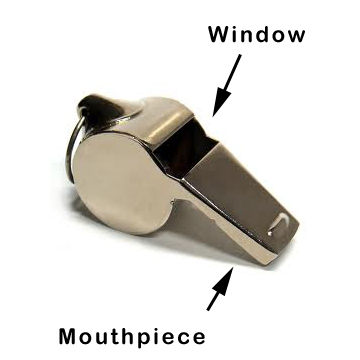 In this situation, the hole is the “window” of the whistle and the nose itself is the mouthpiece. Correction of this problem is by either closing the hole (septal button or surgery) or making it bigger such that the aerodynamics eliminate the conditions conducive to nasal whistling. As an FYI, surgical correction of a septal perforation is quite difficult. The other situation when the nose may whistle, but only intermittently, is when there is a deviated septum. In this scenario, the septum rather than being straight, it is slightly crooked to one side making one side more narrow than the other. Add some slight swelling of the nasal lining such that the opening of the nose is restricted to just right size and shape, and it may whistle. 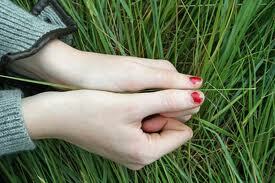 This type of nasal whistling is akin to grass whistling (blowing between two thumbs holding a blade of grass). Thankfully, the nasal conditions that lead to nasal whistling is quite rare and requires the perfect storm of just the right amount of septal deviation with just the right amount of nasal congestion. As such, correction of this problem is fairly easy as one needs to change either the congestion causing the nasal lining to swell with a nasal spray or anti-histamine OR fix the deviated septum. If the inferior turbinates are enlarged, they can be reduced in size as well. Of course, one can take this unusual condition and make it a positive feature worthy of a concert hall… WITHOUT the assistance of any instrument!